DISCLAIMER: Seek medical advice before starting any sort of treatment for opiate withdrawal. 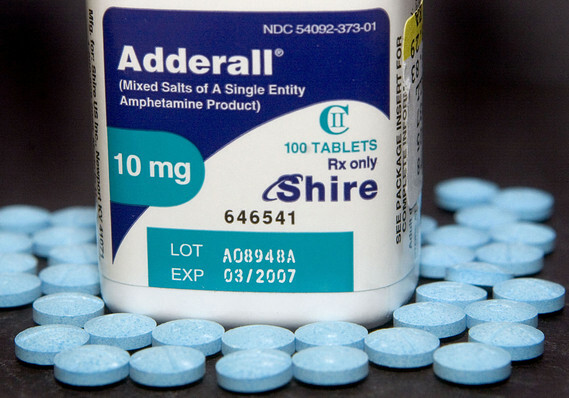 Adderall is a very dangerous drug and should not be taken lightly! Talk to your doctor before taking any sort of medication. The publisher of this article takes no responsibility for misuse of any pharmaceutical drug, let alone taking adderall for opiate withdrawal. Opiate addiction is not a new problem for humans, as people have been using opiate based products for centuries, both recreationally and for medicinal purposes. Morphine, opium’s main medicinal extraction, and most powerful active ingredient, was first used in the early eighteen hundreds, during the American Civil War as a pain killer, which many of the soldiers grew addicted to due to its euphoric high. Morphine was named for the Greek god of dreams, Morpheus, due to the dream state that users would experience. In the following years, doctors and scientists have been able to synthesize other opiate medicines and drugs. Opiate addiction causes both a mental and physical addiction to the body, causing a multitude of physical symptoms. These symptoms can start with a runny nose, bleary and bloodshot eyes, cold and hot sweats, and increase to nausea, vomiting, depression and anxiety. Unstable moods and a loss of appetite as well as a lack of motivation and low energy levels are present often when someone goes through withdrawal. Muscle cramps and diarrhea have been reported in many cases with seizures having being reported in extreme cases. Although death is rarely ever a direct side effect of opiate withdrawal, in connection without types of withdrawals, alcohol or benzodiazepines for example, could lead to death. The mental side effects of withdrawal can include loneliness, despair and desperation to use the drug again. The physical side effects do not usually last longer than a week, where as the mental side effects can remain for much longer as the brain tries to rebalance its chemistry. People going through opiate withdrawal sometimes use Adderall to fight the withdrawal symptoms. This can help with the lack of energy and motivation, as well as the depression as Adderall is a stimulant and opiate is a depressant. There are two camps when it comes to whether Adderall should be used as treatment for opiate addiction, there are those that are for the use and the majority that are completely against it. Always talk to your doctor, but typically the dosage for using adderall for opiate withdrawal would be 10mg in the morning, 10mg at lunch, and 10mg a few hours later. You can also take 30mg of the XR (extended release) to prolong the effects. There are very rare cases where someone will be prescribed both Adderall and an opiate. But this is a highly unlikely situation and is the only option. A child who needs morphine for chronic pain but also suffers from Attention Deficit Disorder would be prescribed both, but it is very rare that someone is. There are specific drugs that Rehab clinics give to people suffering from opiate withdrawals that are not addictive and are proven to help more these include a mixture of medications like trazodone and clonidine as well as naloxone can all help fight the opiate withdrawal a lot better than Adderall. A drug like Suboxone is specially designed to help wean people off heavy opiates. It can be prescribed by a physician if they have special training and qualifications. Rehab clinics or Narcotics Anonymous would be good places to get help, both would try help using the 12 step program of addiction, as well as advise someone how to change their life to beat their addiction and make sure that they don’t relapse, through teaching coping mechanisms and how to deal with the lingering mental withdrawal symptoms. There is no easy way to overcome any addiction, let alone an opiate addiction as heroin and morphine are amongst the most addictive drugs known to man. The final decision is the person who is going through opiate withdrawal as to whether they want to use Adderall for opiate withdrawal symptoms. There is no single definitive cure as to how to fight opiate withdrawal Adderall is generally not considered a good way to fight off the symptoms as it does not help with many of the physical side effects, such as nausea and vomiting, it only helps with the lack of energy. Even those who do recommend using Adderall spin a cautionary tale and say to only use it for short periods and in small doses as serious damage could be done to someone’s brain chemistry or they could get addicted to Adderall itself.